Of the around 2943 megawatt (MW) capacity of wind power that was bid out in 2017, less than 30 per cent has been commissioned so far. Industry officials point out unviable bidding and delay in formulation in Gujarat’s new land policy has contributed to the slow implementation. 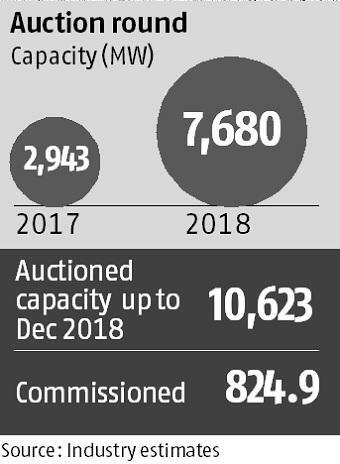 Of the 2943 MW capacity was bid out through Solar Energy Corporation of India (SECI), Gujarat and Tamil Nadu, data sourced from industry sources shows around 825 MW has been commissioned so far. The slow execution in turn has left the original equipment manufacturers (OEM) industry with 10 per cent utilization and revenue loss. Suzlon, however, expects some impact on its revenues.“Capacity utilisation has fallen sharply for us too. Since we are vertically integrated are fixed costs continue to remain high, due to the low volumes. It will impact our revenues,” Chalasani added. Giri pegged the utilization level for around 10 GW wind power equipment manufacturing facilities in India to be at 10 per cent for now. An email query sent to Siemens Gamesa and Vestas remained unanswered. Industry experts added the switch to competitive bidding in wind power is a major contributor to OEM’s troubles. "The transition from feed in tariff (FIT) regime to tariff based competitive bid has resulted in OEM margins being severely squeezed. As such with over-capacity and new entrants, their margins will remain under stress for some time to come,” said Debasish Mishra, Partner for Deloitte Touche Tohmatsu India LLP. 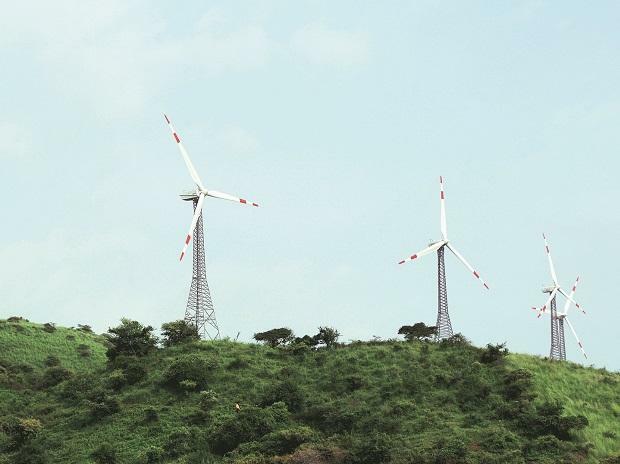 Delay in a new land policy for Gujarat until recently was another concern for wind power developers and in turn for OEM providers.” With falling tariffs developers had planned to build their projects in Gujarat, which has one of the windiest sites in the country. Only last month, the Gujarat government has come out with a land policy for renewable energy projects, which is a welcome move,” Chalasani added. According to industry sources, over 5,000 MW of projects are scheduled to come up in Gujarat. With a new policy now in place, Suzlon expects land to be allocated in the next two months time. The company expects volumes to rise in the next financial year. Mishra from Deloitte added the recent bids for wind power shows developers are now factoring risks involved. The bid tariffs which saw a low of Rs 2.43 per unit in December 2017, recovered to Rs 2.87 per unit levels in 2018. “Developers are realizing that there are risks involved in land acquisition and transmission evacuation need to be priced properly and that is seen resulting in higher equity return expectation in the latest SECI VI bids” he said. Out of India’s 349 GW of installed power capacity, 10 per cent is currently wind energy. The country is working on a target of achieving 60 GW wind capacity by 2022.